provide a distinct economic advantage for beginning a recycling program over smaller facilities with lower volumes. 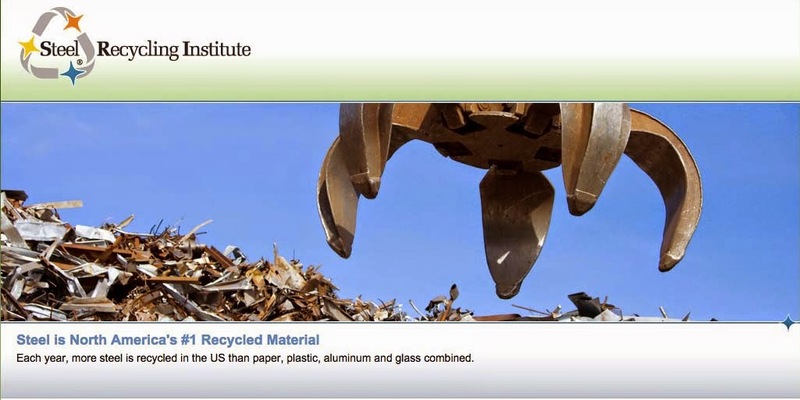 At Thomas Jefferson University Hospital in Philadelphia, steel and aluminum cans, glass containers and cardboard have been collected for recycling since 1990. One of the first hospitals nationwide to collect steel cans for recycling, Jefferson has recycled more than 30,000 pounds of steel cans in the past three years, saving landfill space, energy and natural resources. At the hospital, kitchen staff segregate the steel cans from the regular trash. After any food debris is rinsed out, the empty cans are collected in a bin and taken to the hospital’s recycling area. There, the cans are crushed, placed onto a utility cart, and transported to the truck that makes daily runs to the recycling center. For institutions interested in recycling steel cans, Barr recommends first locating and processor interested in accepting steel cans. To ensure kitchen staff support, involve them in the recycling program and let them know the importance of recycling empty steel cans. One person should be appointed to be in charge of the recycling effort to get the program started and maintain momentum. Finally, Barr recommends that the steel cans be marketed as part of a total recycling program: steel cans should be collected from the kitchen, aluminum and glass from the cafeteria, and paper from the offices. All recyclables at the hospital are delivered to a Philadelphia transfer station. There, they are baled and shipped to end market for recycling.